It mostly just means we sit at a virtual lunch table together. 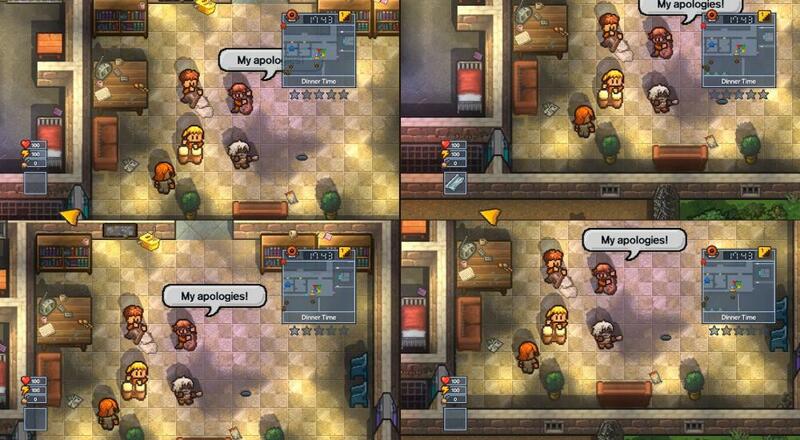 Despite some rough edges, and our complete lack of actual strategy, we had a bunch of silly fun with The Escapists 2. It feels like a great party game, suited well for couch co-op play. Our preview build only had 2 of the 10 prisons available, so there's definitely going to be a ton of content and replayability when the game finally lands. The Escapists 2 is out on PC on August 22nd for Xbox One, PlayStation 4 and PC. a Nintendo Switch version will follow shortly after. The game supports four player local or online co-op.